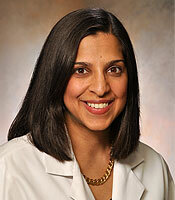 Medical XPress and Fox News featured ITM investigator Vineet Arora, MD, MAPP, for her study highlighting gender inequalities in medical professions, published March 6, 2017, in JAMA Internal Medicine. Her research – funded in part by ITM’s Core Subsidy Award program – found that many female doctors are judged more negatively than their male counterparts, exposing gender-based discrepancies in the field. For instance, female doctors training to become emergency medicine specialists scored as well as males during the first year of their three-year programs, but by the end of the three years, males received higher evaluations in all training categories. In fact, female doctors’ evaluations placed them three to four months behind males in the same programs.